Found 3,235 blog entries tagged as "10312". Tuesday, February 19th, 2013 at 1:53pm. Before the mid-nineteenth century the neighborhood of Huguenot was originally known as Bloomingview. Huguenot got its name from the many Huguenots, members of the Protestant Reformed Church of France that had moved to the area. The Huguenots were being prosecuted in France for not converting to Catholicism during the mid-to-late seventeenth century, so many of them fled to America. By 1851, the Huguenots had established and built their first church in Bloomingview, called "The Brown Church" or "The Church of the Huguenots". The church had caught on fire in 1918 and was rebuilt on the site that it sits on now, in 1924. Today, this church is a New York City Landmark and is known as The Reformed Church of Huguenot Park. Kingdom Pond Park: Huguenot, Staten Island a passive park. Friday, February 15th, 2013 at 3:32pm. The neighborhood of Huguenot began to be established in the middle of the seventeenth century. At this time, the area was known as Bloomingview. Pierre Billiou and his wife Francoise were some of the first Huguenots to settle on Staten Island. Huguenots were people that were a part of the Protestant Reformed Church of France. At that time, their people were being prosecuted for not converting to Catholicism and those who were lucky enough fled their homeland for America. Wednesday, January 23rd, 2013 at 2:29pm. people wanted to move onto the Island, there were more houses being built, as well as housing communities. On the South Shore of Staten Island, in the neighborhood of Eltingville, one of the housing communities that was built after the opening of the Verrazano-Narrows Bridge was Atlantic Village. This community is located right off of Arden Avenue and has nice views of the Raritan Bay, being that the houses are across the street from it. This housing community was built between the mid-1970s and the late 1980s. Monday, January 14th, 2013 at 2:14pm. Intermediate School 7 was first established in 1960 as Bernstein Intermediate School 7. The school was constructed in the shape of an "L", taking up about three quarters of a rectangular plot of land. Around that same time, the remaining quarter of land was acquired by the City of New York to be established as a park. 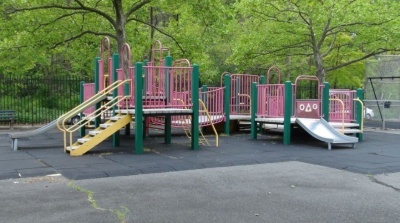 The school opened to the public in 1965 at 1270 Huguenot Avenue with the park following it just two short years later. Thursday, January 10th, 2013 at 3:24pm. 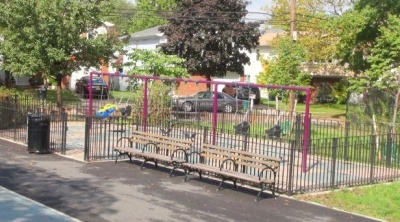 In 2011, a park opened in the neighborhood of Annadale. 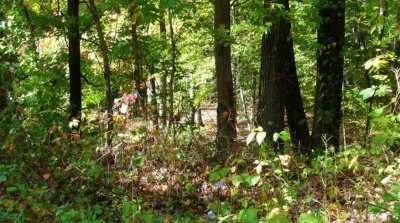 For years, the land taken up by the park, as well as surrounding land, had been undeveloped. By the end of the 1960s, after the housing boom, one house was built on the property of the current park. This house was demolished just a few years later, however. 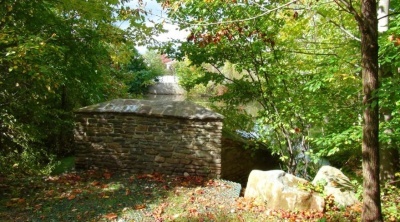 Up until 2010, the land was left to its own devices and a gate protected the wildlife within. Wednesday, January 9th, 2013 at 3:17pm. 132 West Terrace is a two-family home that was built in 1970. This home was built on block 6821 and lot 39 in the neighborhood of Huguenot, Staten Island, 10312. The interior of this home has 2398 square feet of living space and it was built on 5500 square feet of land. This home was publicly recorded as sold for $569,900 on 5/6/2004. Wednesday, January 9th, 2013 at 3:16pm. 124 West Terrace is a two-family home that was built in 1970. This home was built on block 6821 and lot 44 in the neighborhood of Huguenot, Staten Island, 10312. The interior of this home has 2374 square feet of living space and it was built on 4000 square feet of land. This home was publicly recorded as sold for $645,000 on 3/29/2004. Wednesday, January 9th, 2013 at 3:15pm. 101 West Terrace is a one-family home that was built in 2003. This home was built on block 6822 and lot 20 in the neighborhood of Huguenot, Staten Island, 10312. The interior of this home has 2730 square feet of living space and it was built on 3884 square feet of land. This home was publicly recorded as sold for $609,931 on 2/11/2004. 102 West Terrace is a two-family home that was built in 1970. This home was built on block 6821 and lot 55 in the neighborhood of Huguenot, Staten Island, 10312. The interior of this home has 2288 square feet of living space and it was built on 4000 square feet of land. This home was publicly recorded as sold for $265,000 on 9/27/2004. Wednesday, January 9th, 2013 at 3:14pm. 25 Walker Place is a one-family home that was built in 1965. This home was built on block 6849 and lot 13 in the neighborhood of Huguenot, Staten Island, 10312. The interior of this home has 876 square feet of living space and it was built on 4200 square feet of land. This home was publicly recorded as transferred without money considerations on 3/22/2004.